– Large number of the writ petitions before the High Courts are against initiation of reassessment proceedings, as some Assessing Officers do not follow the guidelines prescribed by the Apex Court and other High Courts. Field Officers may be educated on the law laid down by Apex Court and High Courts. Against the rejection order of the Assessing officer, an optional appeal may be provided directly to the Tribunal which should be disposed off within three months of filing of appeal. This may help reduce substantial litigation before the High Courts. – Ease of doing business may be further facilitated by changes in the stamp laws which presently are different in different States. The same may be aligned together to introduce simplicity. ‹ Good Riddance To The Judges Appointment Act But How To Prevent Skulduggery In Appointment Of Judges? Are the provisions of section 197(c) of the Finance Act, 2016 not a retrospective tax ? Refer q.no 4 of circular no.24 and Q.n.2 of circular no 27.
suppose I purchased a property in 1980 and at that time I debited the investment in my capital account. Hence my balance sheet is not reflecting the assets although acquired by proper income. I do not have the record as I am not supposed to have the same as per the provisions before finance act,2016. Now I have to explain the source to AO other wise the same is unexplained income ??? The whole line of bureaucrats are not even bothered about those CBDT instructions ( or for that matter any officcer in other govt department) Sir try & compare the scenario with pre-independent era – nothing but misuse of powers which is programmed in the minds of IRS & IAS brass with the help of the same ACTS & RULES DESIGNED BY THE BRITISH. These were devised in those times to help British Officers to SUPPRESS people. IRS & IAS ACTS dates back to more than 100 years. They are still being enjoyed in the same format even after 100 years. Its time present government to have a re-look at those ACTS and modify them as “rules to administer” from the existing “rules to RULE” – till then it would just be same “leaving” with a comment ! The cited suggestion stops short of even making a mention of the principally two different views resulting in distinct and opposing guidelines as handed down by adjudicating authorities, including the apex court. So much so, the scope for AO to invoke section 147 rw sec 148, for making an ‘assessment’ or reassessment has been left open and continues to be a fertile field for litigation. For knowing more, the SC judgment as reported on this website, and the posted comments @ https://www.google.co.in/url?sa=t&rct=j&q=&esrc=s&source=web&cd=1&cad=rja&uact=8&ved=0ahUKEwj47evPqYXLAhVUCI4KHaNkBooQFggbMAA&url=http%3A%2F%2Fitatonline.org%2Farchives%2Fdcit-vs-zuari-estate-development-investment-co-ltd-supreme-court-s-1431-147-as-a-s-1431-intimation-is-not-an-assessment-there-is-no-question-of-change-of-mind-by-the-ao%2F&usg=AFQjCNHyLTmbo4kx54pNoa6fC_9QMIIPZQ&sig2=6nlWkYsE9OwBUHXQwvTK_A&bvm=bv.114733917,d.c2E is to be recommended to be gone through, and, if so found fit, made prudent use of in taking on the related issues for appropriate remedial action, to serve the purpose of reducing litigation as intended. For info., may be added, the above referred matter has been already made one of the subjects, with suggestions personally addressed / communicated via e’mail to the special committee headed by R V Easwar J for its due consideration. The points of issue and in litigation, under the extant law are whether in a given case profit made on any such sale is taxable as business income, or under the head of capital gains- short or long term. Looking back, to be remembered, that the said issues came to be given a fresh lease of life, and with an added complicity; initially through the CBDT circular of 31-8-1989, and later, as per supplementary instructions issued in 2005. For knowing the intricacies of the attendant complex issues, the analytical study as made in the article published in (2006) 153 Taxman 126 may be gone through. Also the view (s) taken by courts, in particular in the case of CIT v D& M Components Ltd. (Del) (Coram: Justices R V Easwar and Ravindra Bhat) is of relevance. The viewpoints shared in the Article and the lines of reasoning addressed and accepted by the Delhi High court may be usefully kept in focus, in suitably framing and forcefully urging the suggestions . I will differ from your suggestion for distinction between Capital Gain and Business Income (30 days) in view of provisions under the IT Act has not been amended and secondly would not resist to refer to the ITAT Mumbai H bench decision in ITA No 3469/Mum/2012 and 4164/Mum/2012 delivered on 18/02/2015 published on the website which has covered all aspect of the intricacies of the provisions of the law as stand today. Very Bold decision in the present scenario of litigation. If the view is accepted than provisions will have to be changed first and than the suggestion will be fruitful. The suggestions made are tax friendly. There should be no problem by the Deptt. to accept in toto. It is suggested that in regard to inition of reassessment proceedings, it should be specifically provided and to hold concerned official personally responsible if it is found by higher authorities that action to initiate reassessment was exercised for ulterior motive or vindictive motive. This will put a check on arbitrary action of tax officials to prevent harassment of assesses . It is suggested that the cash seized during search operations be kept in Fixed deposit A/c of the Bank,instead of current account-P.D A/c of CIT. This will earn interest. In cases later after the assessments, where the cash sezed is found to be excess,the same is refunded to the assessee along with interest.this interest is paid by the department out of its own funds. Hence if the cash seizedis kept in Fixed Deposit it will reduce interest burden on exchequer. Tax service is the crucial word. Reduction in tax rates to about 15-17% at flat rate and no complex deductions/ rebates/ exemptions etc will also make life easier for tax payers. Dr. K. Shivaram’s suggestions are not difficult to be implemented if the CBDT has a positive approach like the Revenue Secretary. But at the field level the feeling of IRS officers is still high handed and presuming that they are the only select few from the Society. They did not realize that their powers are curtailed to a large extent and that their actions are under surveillance. Why sec 44AD is required?It should be removed.As on one hand it I’d said that if turnover crosses 1cr Sec 44AB comes into picture mandatory.On the other sec 44AD say if the profit falls below 8%Audit is compulsory.Why this ambiguity with small traders .Secondly deductions under chapter VI A is not permitted if returns are filed u/s 44AD. The suggestions posted by various person should have considered by the Govt. in order to create a friendly tax atmosphere. Each & every employee of the tax department should have accountability & responsibility so that they will not act in an arbitrary manner. Revenue should be collected by way of coercive & forcibly rather should be collected in friendly & transparency manner. Particularly, the department should take adequate caution while reopening of the case after audit objection. The system be abolished or the assesse should have given an opportunity to comply the objections raised by the audit team before initiating reassessment proceedings. Because it creates unnecessary litigation & mental agony in the mind of assessee and also not generate any revenues. The govt. should have insert a special provision for filing of return by the assesses those are getting notice as per AIR information or non-filler notice after expire of statutory period. These are the most sought demand of time. This mindset does not allow good intentions to be reality…. You have rightly pointed out all these. It is not only field formation in Income Tax Department that is shoddy. I think that even CBDT is shoddy.The classic recent example of the shoddy thinking by the Board would be the Circular No 01/2016 released on 15th February 2016 requesting the Assessing Officers to strictly follow the time lines for 154 petitions. The circular further asks the superior to monitor the Assessing Officer. I feel that it is an acknowledgment by CBDT that its assessing officers are not following the rule of land and superiors of assessing officer are unaware of the actions of the assessing officers.I am also not sure as to what sea change the above circular is going to bring. Your suggestions will definitely bring down tax terrorism if those are accepted by Govt. Sir, please give a suggestion to Govt. on following points. 1. Reduce net profit percentage from 8% to 5% u/s. 44AD of I.T.Act as there is no change since its introduction. Now it is very difficult to get net profit @ 8% on turnover. 2. Abolish the monetary limit u/s. 44AB of I.T.Act so as the assesse will declare their income u/s 44AD of I.T.Act if the net profit will reduce to 5%. It will generate more & more revenue and also reduce unnecessary litigations. For most of the war of wits and ensuing prolongation of the battle before courts, are , according to well considered and unbiased view, undoubtedly traceable to , not just the mindset of AOs at the stage of collection – there is no knowing what the other thing of ‘tax service’ made a mention of is intended to convey- but primarily to the adversarial attitude of his right from the stage of dealing with a tax return filed; that too, without proper application and /or appreciation of what the law says and how to apply it to the facts and circumstances of a given case. 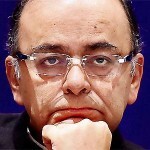 In one’s long standing conviction, therefore, the predominant doubt is why the CBDT is reluctant to have the AO , at the helm of affairs initially, properly tutored and most fittingly trained so as to equip him and decide how best to safeguard the interests of Revenue but at the same time with the least impermissible harm and hardship to tax payer. Also that, he will not be rightly regarded to have prudently acted ‘in performance of his duties’ of office or acted in ‘good faith’ or ‘intended’ to do so- within the holistic meaning of such concepts, and precincts / framework of the law, – thereby saving himself and the Department from the rigors of, and the dire consequences, as envisaged by the law /ethical standards, – both in the tax code and the common law. Shivram Saab, all the suggestion are very very reasonable and will have a very long lasting effect on consistency, predictability and assurance about the tax treatments to some of the issues troubling even the small taxpayers. Great Initiative from your side. I am sure everyone from the Bar will whole heartedly support all the suggestions made by you. (1). Like Service tax/Excise, post asst order and before 1st appeal, keep a cap of say 7.50% of the demand to be paid & before 2nd appeal (ITAT)say 15%. In selective cases a lower limit. Upper cap something like say 10 crs. (2). Try to Remove concepts of discretionary powers to AO or such authorities because this is subject to abuse. I still remember an incident when I was interacting with a senior official of BCA. He said the member were agitating that the Income-tax Department is corrupt. After introduction of summary assessment scheme and electronic filing of return they are agitating that there is no work. The introduction of Electronic processing of scrutiny assessment and appeals before the appellate authorities will worry them much more. By raising the monetory limit for filing appeals before the ITAT and HCs the work will still reduce for professionals. When I refer to work I refer to the fee also. Sir. The suggestions are great. Even if sone part is implemented,it will bring a lot if changes. Much more need to be done. However overlooking what all has been done amounts to have jaundiced eyes. Step by step sustainable initiatives will be more beneficial s. Pl do not forget to correct your vision.